The island of St. John is home to some of the most incredible snorkeling in the Virgin Islands. Discover colorful fish, coral reefs, and other fantastic sea creatures at a variety of St. John snorkeling locations around the island. Some areas are off the beaten path while a few other spots are quite popular amongst the locals and tourists. Grab your mask, snorkel, and fins and check out this list of the 8 most amazing spots for St. John snorkeling! For more information on outdoor activities you will love near your CimmaronStJohn vacation rental, you can read our St. John Activities Guide! If features some of the best ways to explore the land and waters of the Caribbean, including St. John snorkeling. First-time snorkelers or families with children should check out Trunk Bay. The beach can get busy at times, but this is an ideal location for viewing bright tropical fish and coral along the famous underwater St. John snorkeling trail. Close to shore, this trail winds along and offers some great and well-traveled views. And unlike many other St. John beaches, a lifeguard is on duty. Salt Pond Bay is another busy beach location that offers great snorkeling. Be on the lookout for the sea turtles swimming in the sea grass beds and the large Queen Conch. And swimming off the center of the bay, you’ll see the large rock hump! Some of the most popular snorkeling can be found at Haulover Bay and Waterlemon Cay in St. John. Haulover Bay is named for the thin strip of land where at one time, boats could be hauled over between Coral Bay and Sir Frances Drake Channel. Once you make it down to the beach, head to the left for the best St. John snorkeling. Sights to be seen while swimming here include seafans, tunicates, and Caribbean fish. There is also a variety of coral to be found here, including hard and soft coral and sponges. Waterlemon Cay is quite calm, with few waves and a shallow reef. You will find incredible wildlife here, including turtles and starfish! A few of St. John’s less crowded snorkeling areas includes Hurricane Hole, Kiddel Bay, Grootpan Bay, and Little Lameshur Bay. Hurricane Hole is known for its mangrove trees. In these calm waters, you’ll see a variety of creatures like jellyfish, anemones, and colorful fish. At Kiddel Bay, you’ll find underwater caves and gullies to explore not far off from the shore. Grootpan Bay offers snorkeling at a range of 5-feet deep to 25-feet deep. In deeper water, you’ll find a variety of sea life including rays, tangs, and lionfish. Lameshur Bay is a great location for both beginners and more experienced snorkelers because of its shallow areas and deeper spots further out. Snorkelers at this location will be pleased to see Caribbean lobster, octopus, and coral banded shrimp. Start Planning Your St. John Snorkeling Trips! Here at CimmaronStJohn, we offer spacious and luxurious properties with amazing views! And some are within a convenient location to premier St. John snorkeling spots. Just 15 minutes from the Virgin Islands National Park and some idyllic snorkeling is our 2-bedroom, 2.5-bath Villa Jumbie with views of Coral Bay Harbor. Families will enjoy a stay at La Sirena Villa. 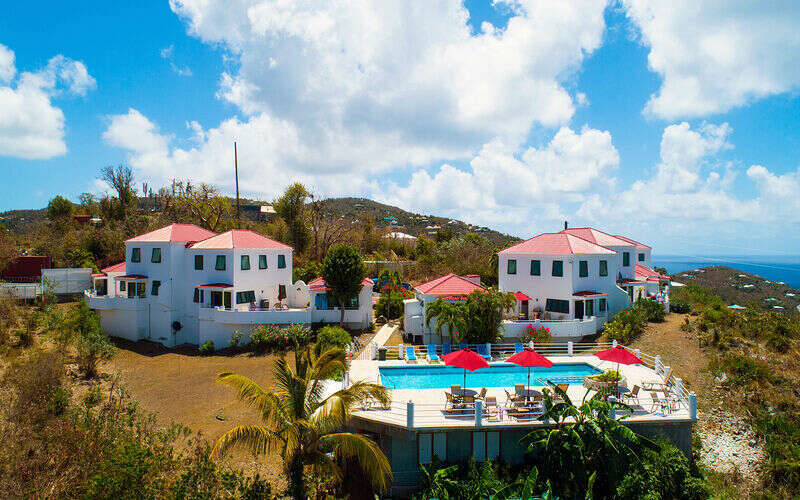 This villa has 3 bedrooms and 3 bathrooms, features awe-inspiring views of Kiddel Bay, and is just a short walk from the beach. If you desire to snorkel at Salt Pond Bay, you’ll enjoy the 2-bedroom, 2-bathroom Salt Pond Vista Villa, which is less than 5 minutes from the bay. For reservation information or to start planning your St. John getaway, call us at 340-715-2666!